There are only two reasons why punters bet offshore. They have either been limited or banned from Australian bookmakers or they know they can get better odds elsewhere. The first issue is 100% the bookmakers fault, once upon a time a bookmaker in the UK decided to close a winning punters account and a week later they made more profit. This led them to the realisation that if they only had losing punters they would make even more money (well der). This business model is bookmaking 101 for all Australian corporate bookmakers now. Get every single punter in the door, find out the ones that might win and kick them out, leaving only mug punters. But today’s article isn’t another anti-bookie post. Today we are going to talk about the second reason. Why Australian bookmakers have worse odds. Let’s take a look at this weeks upcoming premier league games and compare Sportsbet (Australia) versus the most well known offshore site, Pinnacle Sports (Curacao). You could do this for every sport and would get the same results. Pinnacle odds are based on a 102% book while Sportsbet odds are a 106.5% book. 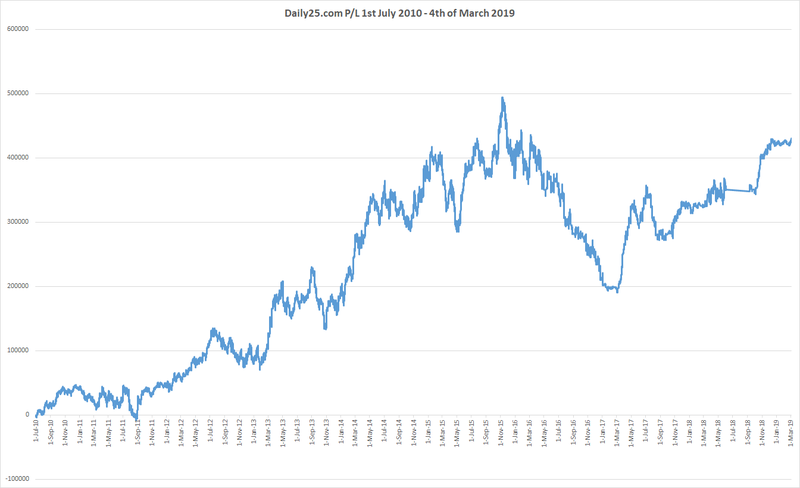 This means on average for every $100 you bet you will lose $2 at Pinnacle and $6.50 at Sportsbet (note: Australian books increase this to almost double (10-12%) by only allowing losing punters to bet). That is a massive difference. If you were to bet $100 on 20 games per week you would (on average) lose $40 betting at Pinnacle and $130 betting at Sportsbet. Over a year you would lose $4,760 more by betting at Sportsbet. Bookmaking is a business and all businesses are built to make a profit for their shareholders. Every business also has operating costs. These costs are then passed onto the customer. Pricing is an art form, a business must price a product to cover the cost of producing it and add their profit on top. So a product might cost $1 worth of raw materials, but once you add in the time a worker takes to make it, transportation, taxes, marketing and so on, that $1 product ends up on the shelf at $19.99. The same can be seen for bookmakers. If there are two identical teams playing, the chances of each team winning are 50%. So the raw odds would be $2 for each side. But once you add in all the business expenses those odds move down to $1.952 at Pinnacle and $1.90 at Sportsbet. If you saw the same product in a store with one being much cheaper, I’m sure you would go for the cheaper option. So let’s have a look at what the operating costs are for each business. First we will look at the commonalities and then the differences. What costs do both have in common? Wages: Both need to pay their employees. Sportsbet have over 700 employees and Pinnacle (who are a private company and don’t disclose this info) have between 201-500 according to their linkedIn profile. I would say Sportsbet are spending 3-5 times as much on wages. Affiliates: Both have affiliate programs, Pinnacle’s is based on turnover and Sportsbet’s is based on profit. Merchant Fees: Both need to pay credit card and e-wallet fees. Pinnacle minimise this by requiring all deposits to be turned over 5 times while all other bookmakers require deposits to be turned over just once. Taxes: All bookmakers are living in a dream at the moment when it comes to paying tax. While my tipping service Dailyprofit (had to get a plug in there) is paying a 30% tax rate, bookmakers around the world pay hardly anything. Pinnacle sport pays the Curacao government just 2% of net profit. Sportsbet is licensed in the Northern Territory and pays a yearly license fee of $23,200 and a 10% tax up to a maximum of $550,000. There may be other taxes payable, but I could not find them. So any profit over $5.5 million seems to be tax free (please correct me if I’m wrong). A heap of other things I am missing. Marketing Budgets: Australian sportsbooks spend a fortune each year on marketing. Sportsbet would spend in the $20-$40 million price range. Pinnacle on the other hand are not allowed to advertise in most jurisdictions and their marketing budget would be very small. I would guess it is under $1 million a year. Promo bets: In essence this is part of their marketing budget as well. Pinnacle never offer promotions because their unique selling point is they have the best odds. Sportsbet is just like every other Australian book, the odds and service are all the same. They need to continually offer incentives to get their customers to come bet with them. They do this by offering free bets and refunds. This cuts into their profits. Sporting Body Fees: Here is what it really drills down to. Pinnacle sports pay no fees to any sporting bodies. The Australian bookmakers are required to pay each Australian sporting body if they wish to accept bets on that sport. Pinnacle is yet to enter the Australian Horse racing market, but other offshore bookmakers have. They can offer much better odds because they pay no fees. Let’s look at what the Australian corporate bookmakers need to pay. The figures below are not perfect, this article is just meant to give you a basic understanding of the fees. To get into all the details for each state and specific races would take hours of reading. Horse race field fees are an absolute nightmare. I had to stop writing this article and take long breaks because of how complicated they make things. Each state have different rates/bet types/categories and each separate thing has a different rate applied to it. Tote derivative products such as BOB, Mid tote, Toptote, Exotics and so on are charged at higher rates than fixed odds. You may have noticed that Sportsbet hid their TT+ product last year and push their fixed odds betting. That’s because they are charged much more for these types of products. For example, in NSW they can charge up to 4% on turnover for totalizator derived odds and up to 2.5% on fixed odds. In Victoria it is up to 3% for tote and 2.5% for Fixed odds. These are the maximum and each type of race is broken into categories. So a Wednesday Sandown meeting would be charged less than the Melbourne Cup. Below is a general breakdown of what Racing Victoria fees look like. Some racing bodies also have turnover thresholds. This is to help separate the rails bookmakers from the corporate ones. In Victoria the charge is 1% for the first $15 million in turnover and than increased to 1.5 – 2.5% of turnover or 15-25% of gross revenue. They also use a “greater of” metric. Which means that bookies needs to pay more if they have a good day or week. Some states also charge based on a meeting level and others charge at the end of each month. In the case above they would pay Racing Victoria $750,000. Now if they had the same turnover but broke even or lost money on the day they would still need to pay the turnover charge of $500,000. Breaking it down into it’s simpliest form, on average it works out that Australian bookies are paying 2% on turnover each year to horse racing bodies. This is passed onto customers by 2% or higher worse odds. Have a headache yet? I do. At least Sports fees are much simpler. On all corporate sites you will see the “Approved Betting partner” section. This just means that they pay each sporting body a fee. All but the NRL charge a percentage based on profit. This charge is between 5-10% of profit over a season (higher for finals). There is also a fee to the regulator which is between 0.2 – 0.5% of profit. NRL on the other hand charge 1.3% on turnover for standard bets (H2H, Line, Totals) and 2.4% turnover fee on exotics (1st try scorer, so on). Every $100 you bet on a standard NRL bet means that $1.30 goes directly to the NRL. It is in the NRL’s best interest that all wagering is placed with Australian books (hello min bet laws). Australian sportsbook pay no fees for bets taken on other sports. You will notice that they try and push these products much more as their profit margins are much bigger. 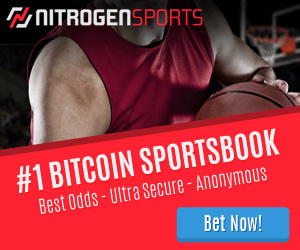 There is no reason why their odds on sports such as NBA, NFL, EPL and so on are worse then offshore bookmakers, it is down to pure greed that they keep the odds inline with their Australian sports. Some bookmakers have started testing $1.95 odds for american sports (most notably Ubet and William Hill). To compete in a global market on these sports, they will have to get closer to that 102% book. Depending on the results of the IGA review, I see better odds in store for punters who like to bet on non aussie sports. Let’s not feel too sorry for Sportsbet. Yesterday their 2015 profits were reported and Sportsbet made a whooping €79.5 ($118.4 AUD) million operating profit. Sportsbet makes 11.3% ROI from all bets taken. That means if you are able to bet with Sportsbet, you are losing $11.30 for every $100 you bet. This brings up an interesting thought and maybe it would be better explained in a separate post, but what would happen if Sportsbet decided to allow winning gamblers to bet with them? From a quick look at their profits I would assume their net revenue % would come down to 6% but their amount staked would double. Their operating costs would also be cut in half as their biggest expenses are marketing and staffing. The positive impact from this move would mean they would receive a lot more word of mouth and viral marketing because they would now have a unique point of difference from every other Australian book. There would be no negative social media against them and people would happily refer their friends to the business. Sportsbet also currently hires a huge department that has the sole job of finding and banning winning punters. With these employees gone, that would be another massive cost saving. But hey, why rock the boat when you’re making $118 million dollars a year. Aussie bookmakers are at a disadvantage when it comes to betting on Australian racing. The fees they pay to the racing bodies are very high and with new entrants like CITIbet coming into the market and offering amazing odds, they will have a fight on their hands. It is in the best interest of the racing bodies to lower these mafia like extortion fees and allow the aussie books to offer a competitive service. Sports betting on the other hand should see no real price difference between Australian and offshore bookmakers (apart from NRL). As they are only paying a percentage of profit and not a turnover fee, it is only because of greed that Australian bookmakers have worse odds. Hopefully the Interactive Gambling Act review (which has been promised for months now) does not ban offshore bookmakers. We live in a world economy and Australian bookmakers are more than happy to take bets from International customers so it should also be the same going the other way. They should be forced to compete directly with all companies like almost all other online based businesses. Pinnacle use a feed to create their opening prices. So what is currently the best option for the punters to somewhat negate these massive racing market %s? Odds comparison? Betfair? or an off shore bookie?